Zenith provides organisations in Australasia with new and innovative ways to engage their employees by creating spaces with products that are functional, appealing and forward thinking. By gaining a deep understanding of the organisations’ needs, we help to create work environments that bring people together to share, collaborate, socialise and learn. Zenith understands that office environments today are about leading-edge technology, collaboration and community. We are passionate about designing, manufacturing, distributing and supplying the very best in corporate and commercial furniture and providing sustainable workplace solutions, aligned with current thinking and trends. In turn, our clients receive ideas, experience, expertise and locally manufactured best-in-class products. Zenith also has a network of local and international brands and designers. Zenith started out in the 1950s as a manufacturer of office partition systems and evolved into manufacturing workstations. Since opening our first showroom in Victoria, Australia, we have established a presence in every Australian state and territory. And since 2010 Zenith has strengthened its position through further expansion in Asia Pacific. For example, in New Zealand we took over the rights to all workstation and task seating products of the New Zealand company Formway as well as their showrooms in Auckland and Wellington. When one of Australia’s highly respected design brands, Schamburg + Alvisse, joined Zenith, they brought their comprehensive product range and are adding new products to our collection as well as their invaluable expertise and experience in design. 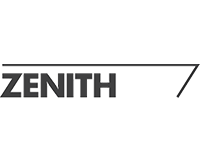 The Zenith Design Studio is a research and development department comprising industrial designers, product engineers and CAD operators. The Design Studio is continually researching global workplace trends and designing products that anticipate the ever-changing workplace environment. Because of its extensive manufacturing capabilities Zenith is able to provide its clients with exceptional flexibility and customisation. This ensures every client’s requirements can be met. Adaptability and innovation are vital to creating successful office environments, and Zenith is motivated to ensure these are achieved.